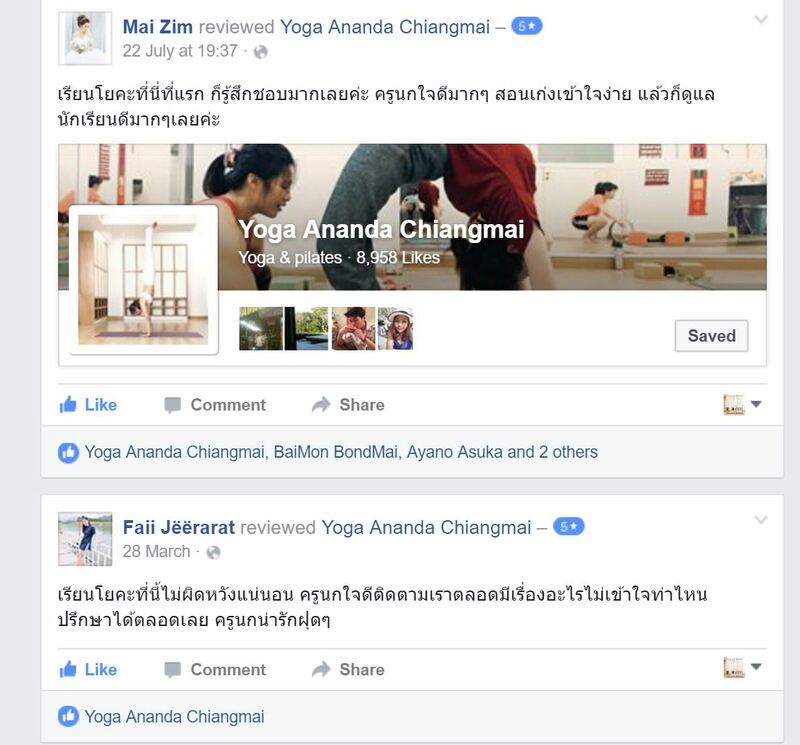 Master Girjesh Sharma (ERYT500, Yoga Master) ..
Kru Nok is very good students and same time very good teacher. 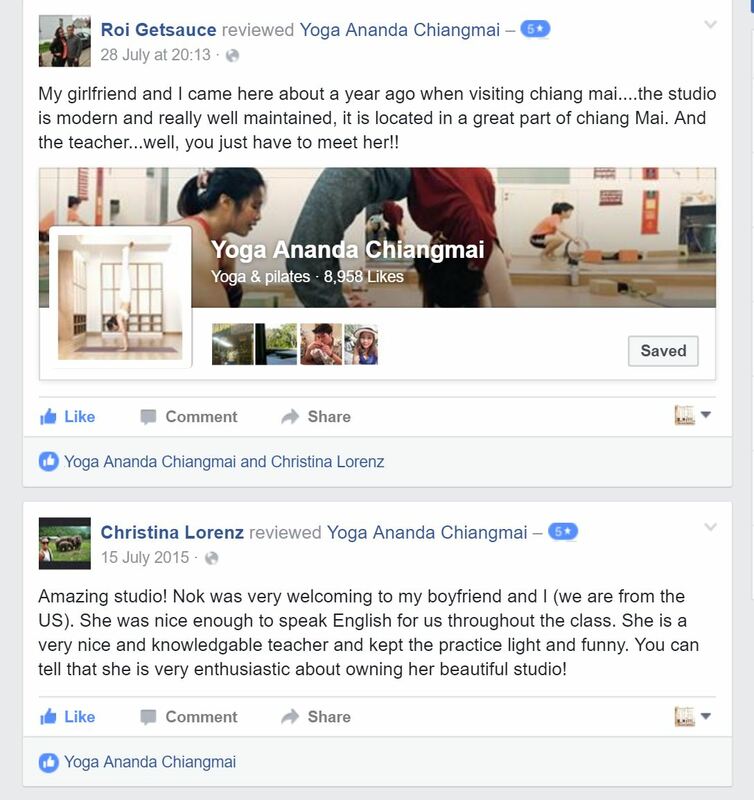 Since i met her we have been exchanged knowledge in class and yoga learning. 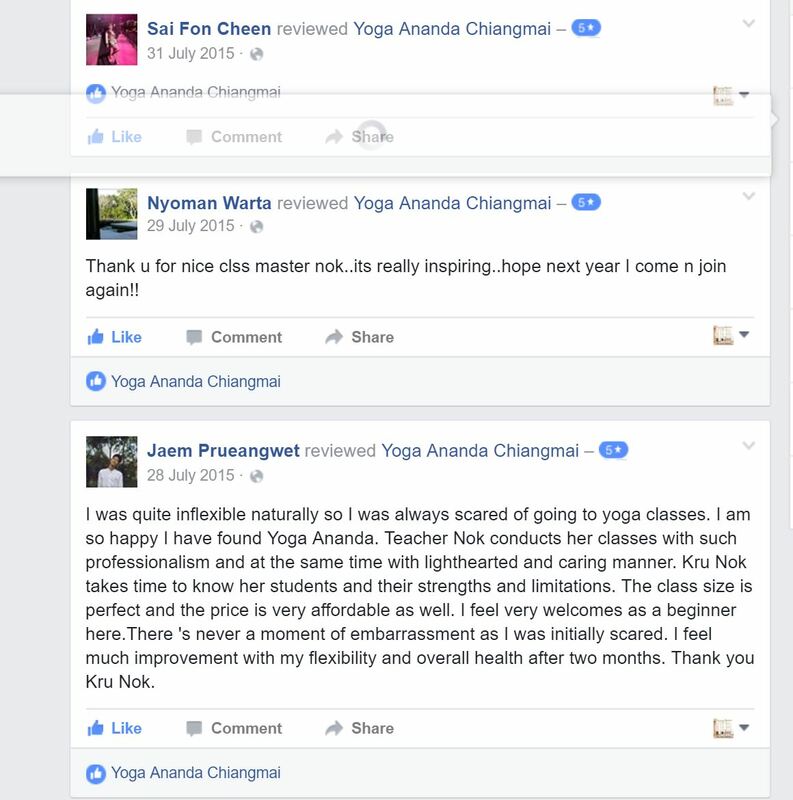 She has very rich knowledge in Ashtanga Yoga, Vinyasa, Hatha as well as therapy yoga. 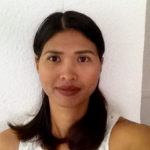 I found that she always helpful and friendly to her students and teach her students with supportive and nice connection to her students. 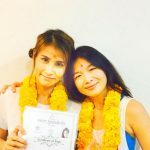 Last year, i invited her to Ahmedabad Indian to do 4 workshops in two days in our Kaivaiya Yoga Shala, all students got new teachniques and knowledge and learn from her a lot. 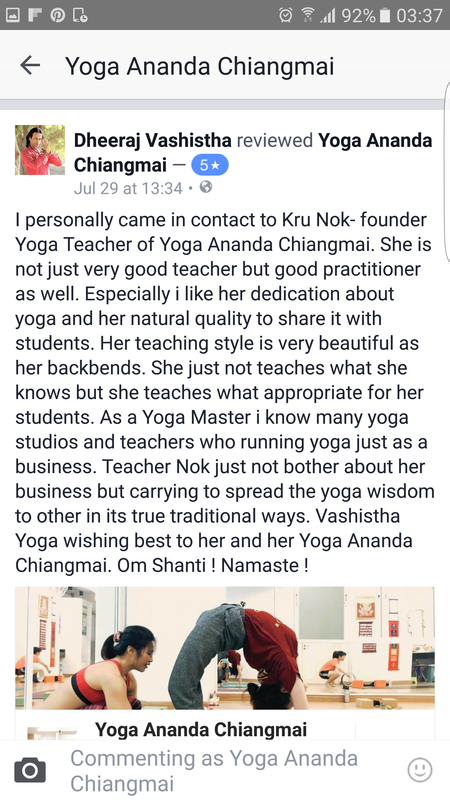 Not only the teachnique of yoga and sharing her knowledge to others but also friendship among us. 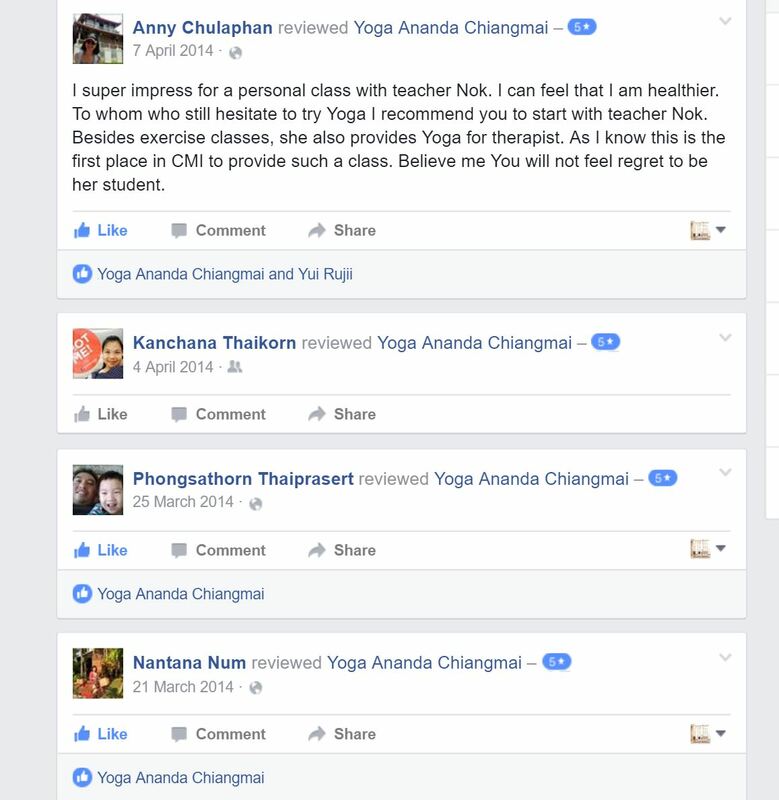 I really would like to say to all students or yoga practictioners to meet and learn with her. 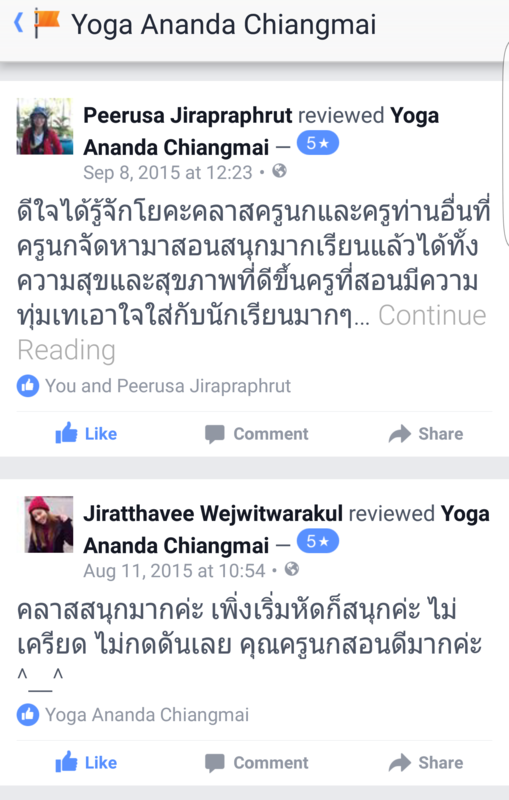 In May 2017, Nok invited me to go be person who made prayer to her new branch at Yoga Ananda Jing Jai Market.. I joined her classes and met her students.. exactly more impress on how she works.. 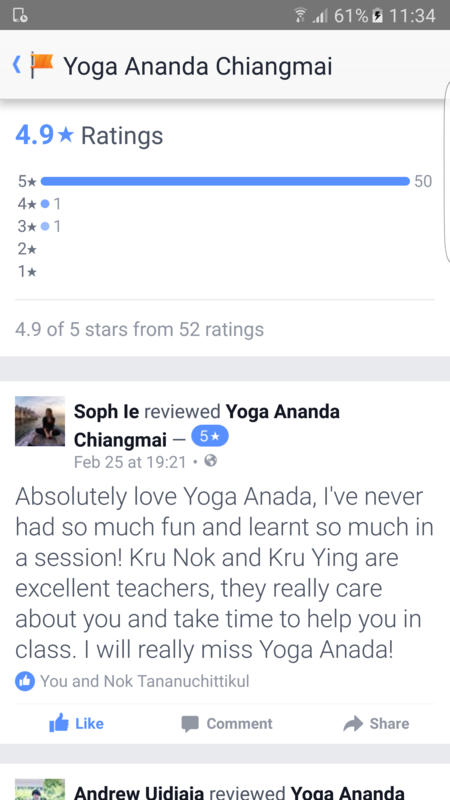 Recommend to meet her in the Yoga Ananda Studio or join her teacher training.. you will find her positive energy and happy with learning. 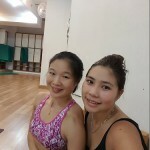 I chose to take the 100 hour Yoga TTC with Kru Nok at Ananda Yoga as I had been a student of hers there for some time, and was so impressed with her as a teacher. 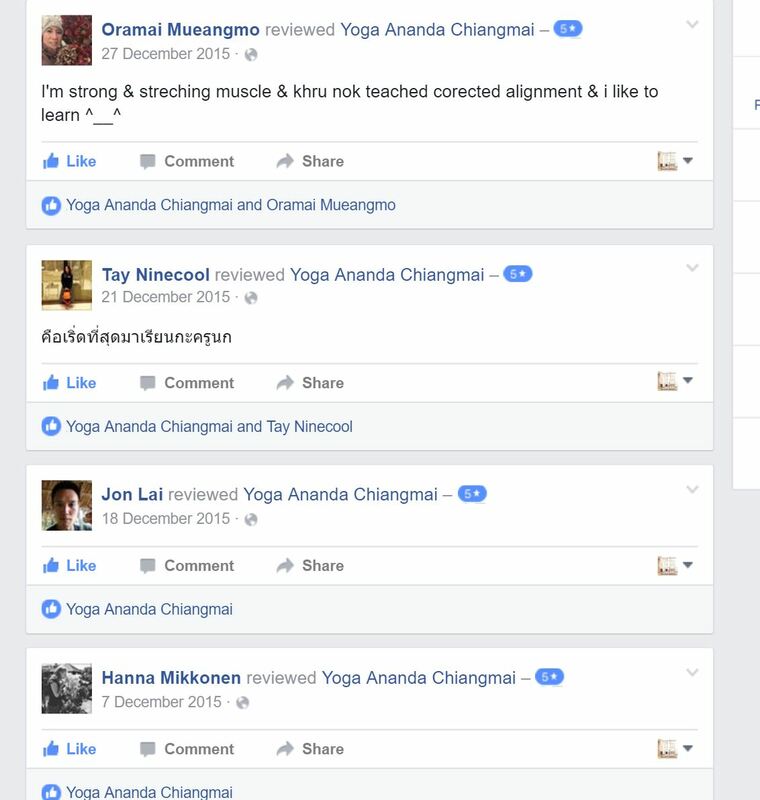 I loved and still love attending her classes as they are a safe yet challenging, holistic asana experience. 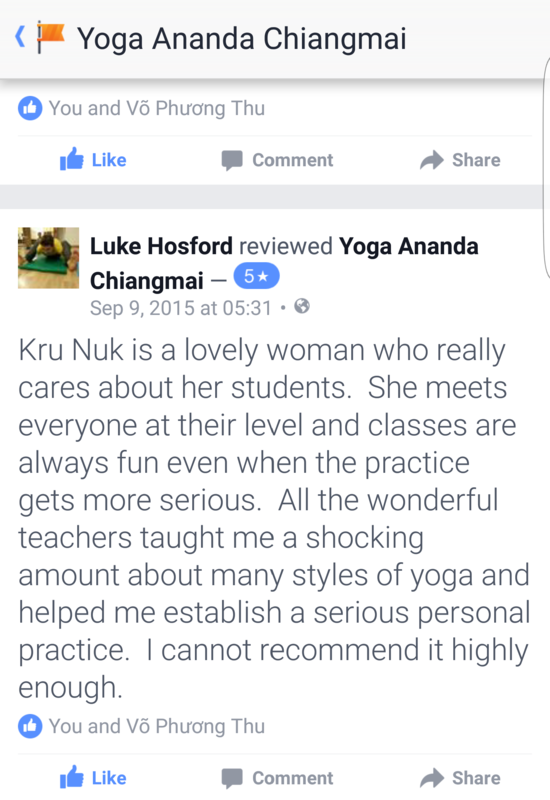 Kru Nok is a master at adjustments for all level students and all body types. She totally knows her subject and I trust her implicitly. She is also a very kind and genuine person - a true yogi! 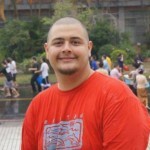 I would have taken the 200 hour course, but as I work in Chiang Mai, it wasn’t practical to do whilst still working. I had already taken a 200 hour course years ago, but wanted adjustment practice and also a refresher in philosophy , for myself. I was not disappointed with either. 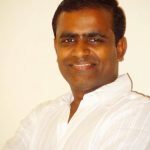 Master Anil, who taught Philosophy, chanting, pranayama and meditation is a great man and a great teacher. He will answer any question you have, is very knowledgable but has a great sense of humour too. 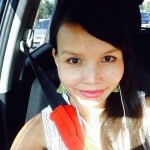 I learned so much that wasn’t covered in my first TTC – it was thoroughly absorbing. Kru Nok was ever-present, ever patient and ever helpful. Although I only did the 100 hour course, she gave me many opportunities to practice adjustments on the other students. There were only 8 of us, so it was a great chance for all of us to benefit from contact with these two great teachers. The course was very well organized, planned and executed, and the other students in the group were lovely people. 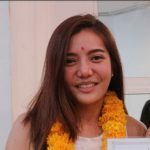 I was glad that I got to study with Thai students as not much opportunity in life to do this! 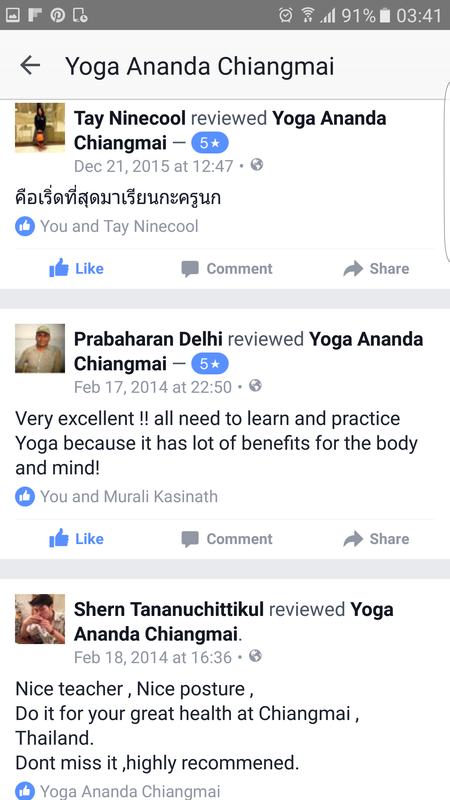 It was excellent value for money, as yoga TTC’s can be very expensive these days. 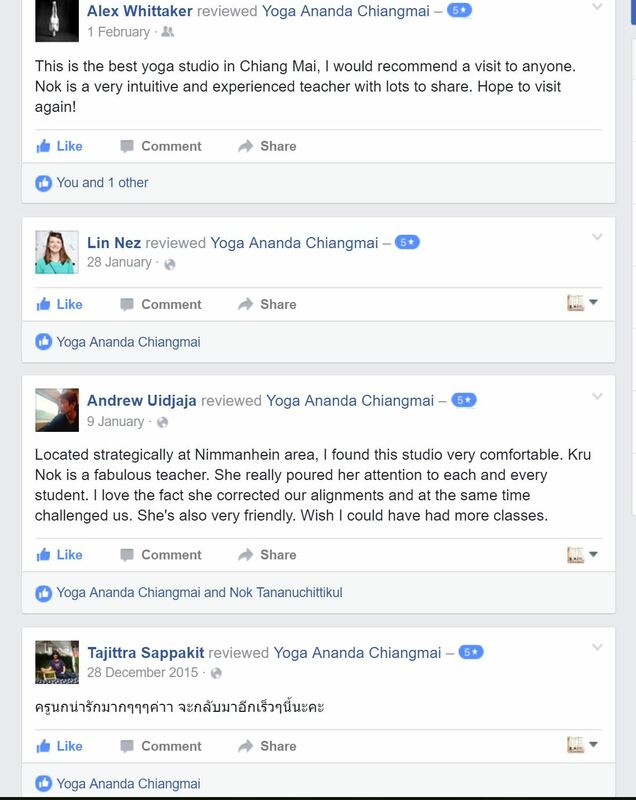 Kru Nok really cares about giving her students a valuable experience and I felt this was her main motivation at all times, whereas, some TTCs feel like more of a money making exercise. This course surpassed my expectations and I can’t recommend it enough. 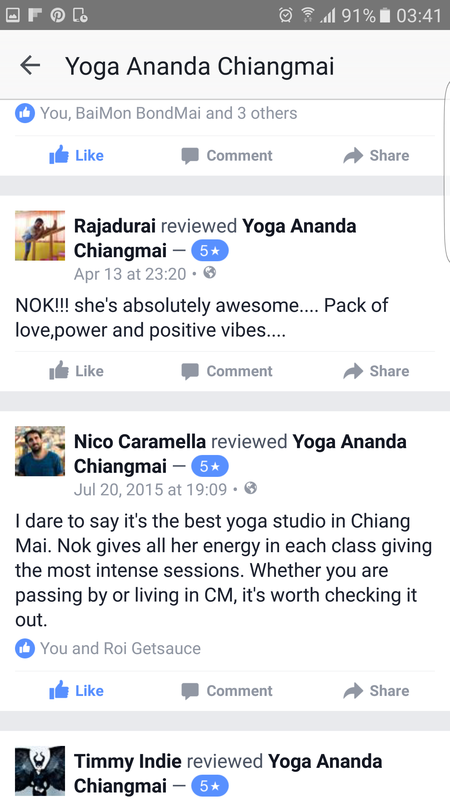 Thanks Kru Nok and Master Anil. I'm student from 200Hrs Yoga Teacher Training at Yoga Ananda. 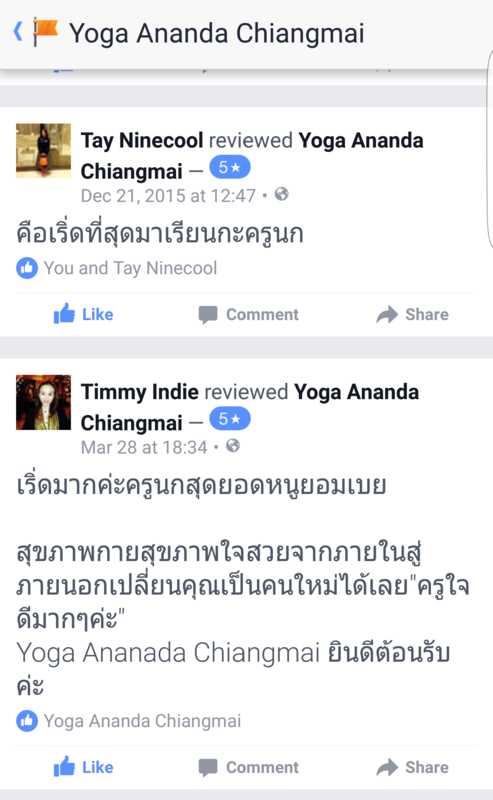 I love Yoga Ananda. And I love kru Nok so much. Kru Nok...she don't give me just knowledge.She give me power of light and power of love.I have big changes in my life. I'm happier.I can find my peace and feel freedom. 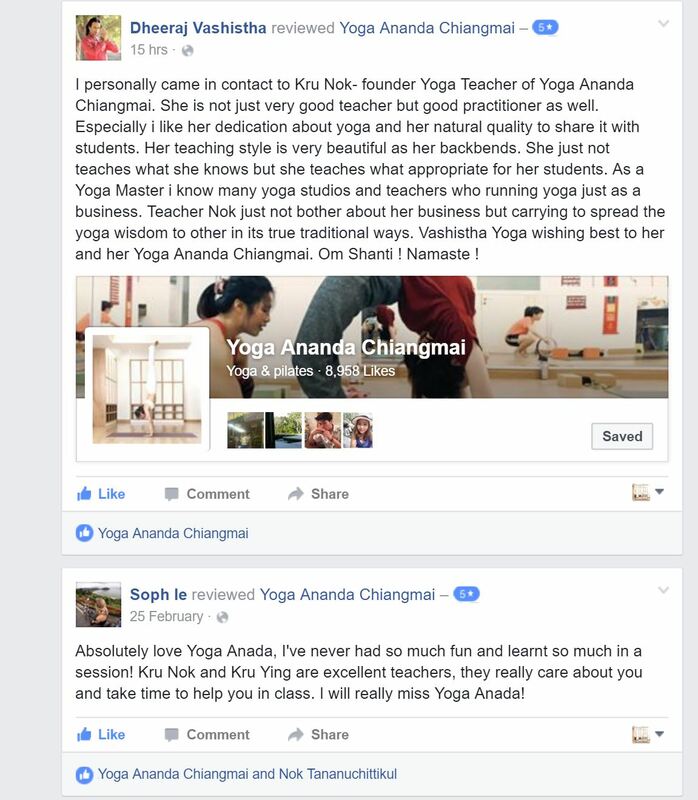 I can feel she love all students from her heart.If you come here for do yoga. Your life will be change. Good change!!! 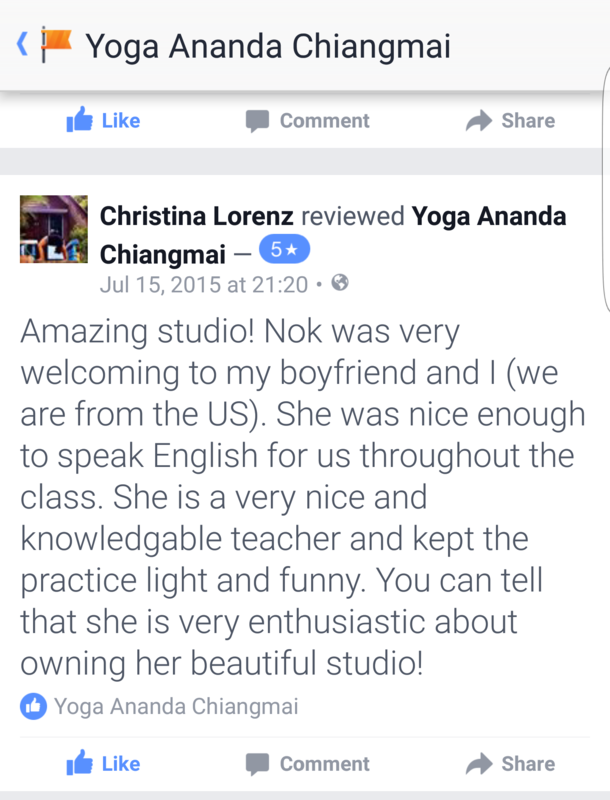 I met Nok almost 2 years ago in Rishikesh when she came to study Yoga and completed her 500hrs TTC. I used to teach some classes there. There were many students but she was one of few who took Yoga as mission of life and live it with each breath. 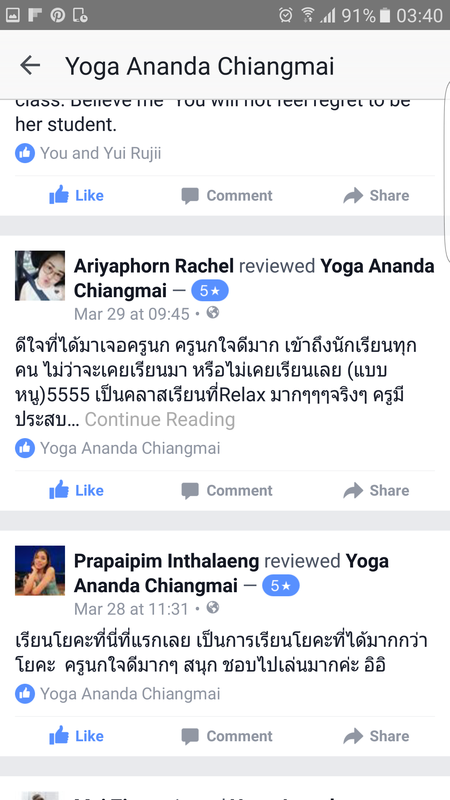 She used to have a lot of physical and psychological complications while studying Yoga i.e. High BP, breathing problems, migraine and some emotional troubles. She had to take breaks many times while studying. 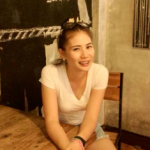 She recovered from most of complications while studying and now when I see her in Chiang Mai today, it gives me immanence pleasure and makes me feel proud what she is doing and up to. 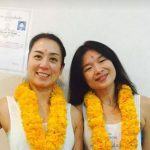 I attended few of her Yoga sessions while i am here in Chiang Mai and the energy she brings in sessions is unbelievable and most practitioners realise it. 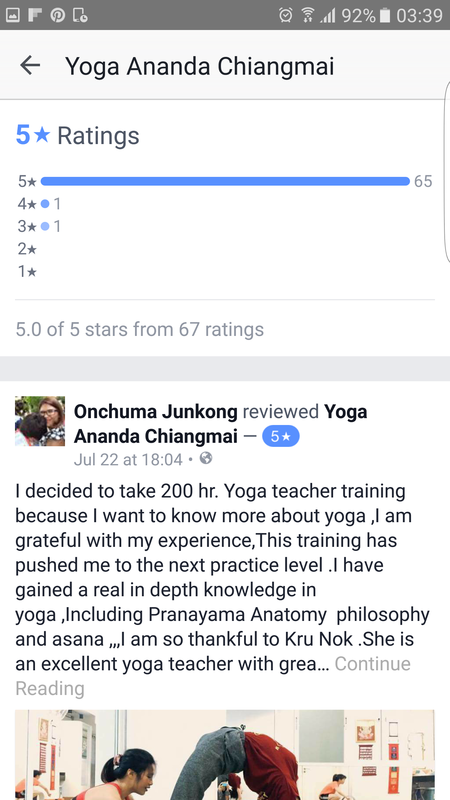 Her own personal practice and guiding the people in improving in Yoga practice is most important feature of her teaching and class. 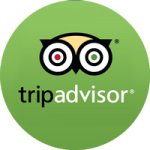 She has great understanding in adjustments and what people can do at a time. 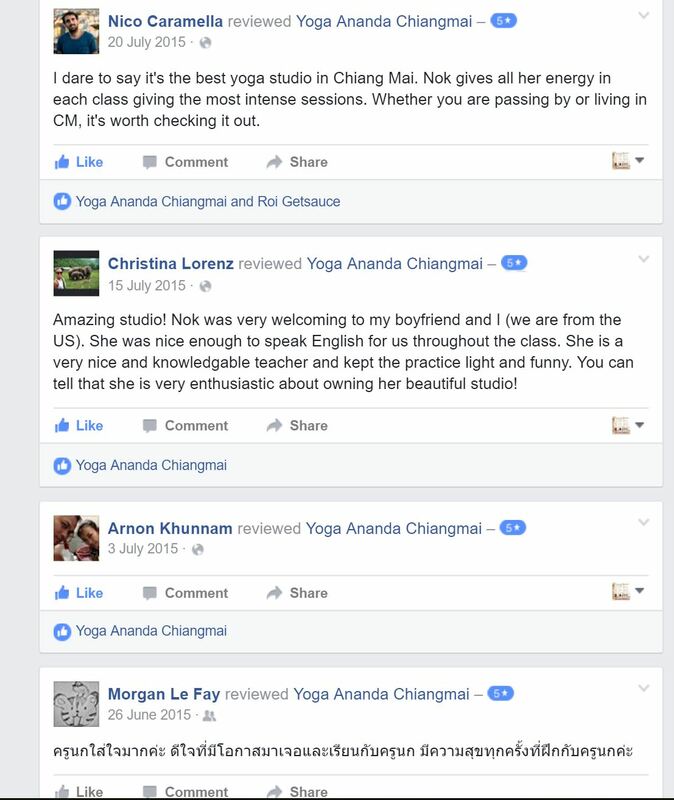 I feel and conclude my experience with that she is "a Yoga Teacher with heart" and I guarantee many Yoga teachers in Market (I have to use the word market) don't have it. So go and learn/practice with her, you will feel it. 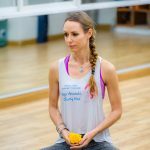 I wish a very best and good luck for her future endeavours and may she keeps spreading knowledge and love for Yoga practice to everyone in journey. So much love and blessings..!!! I deeply appreciate the manner in which Nok designs her classes. 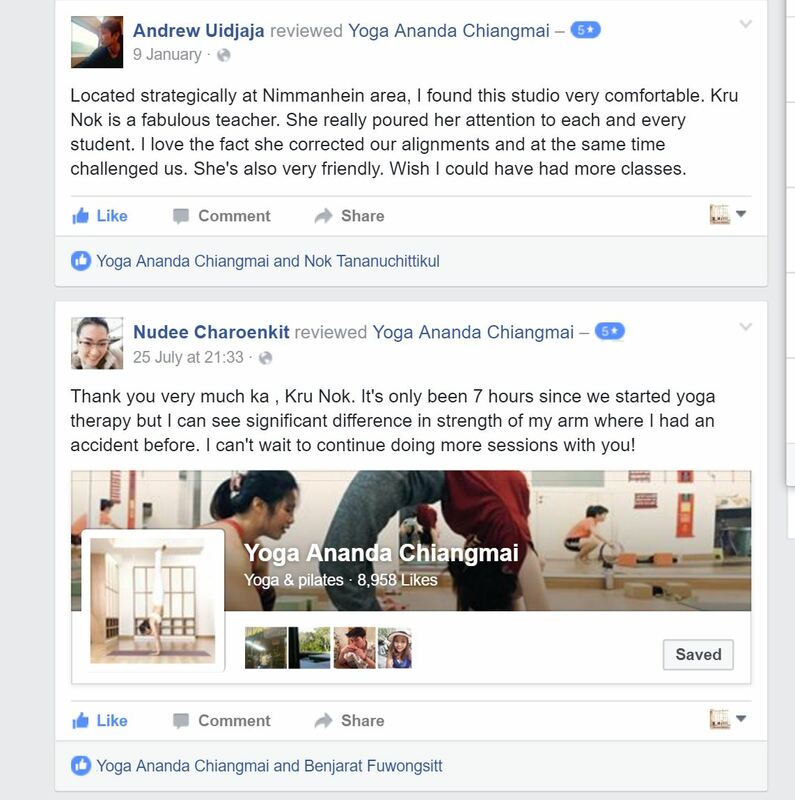 What makes Nok a truly gifted yoga instructor is her ability to incorporate the best methods of many yoga styles into her own unique, intuitive personalized style/techniques. 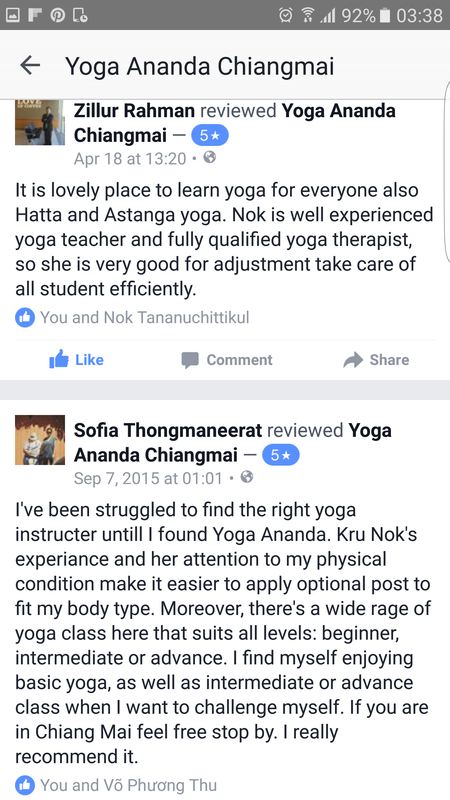 Nok has sought out training in Ashtanga, Hatha, Power Yoga Vinyasa Flow, Yoga for health improvement just to name a few. 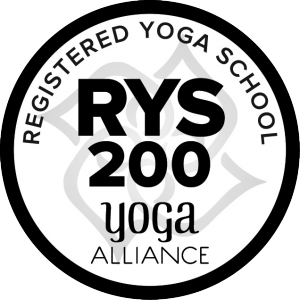 She has received her Teacher Training program under Yogacharya Keshavamurthy of Vishwachethana Yoga centre Bangalore India, in all styles of Yoga & more than just her training she has learnt the art of growing up physically and spiritually through Yoga. 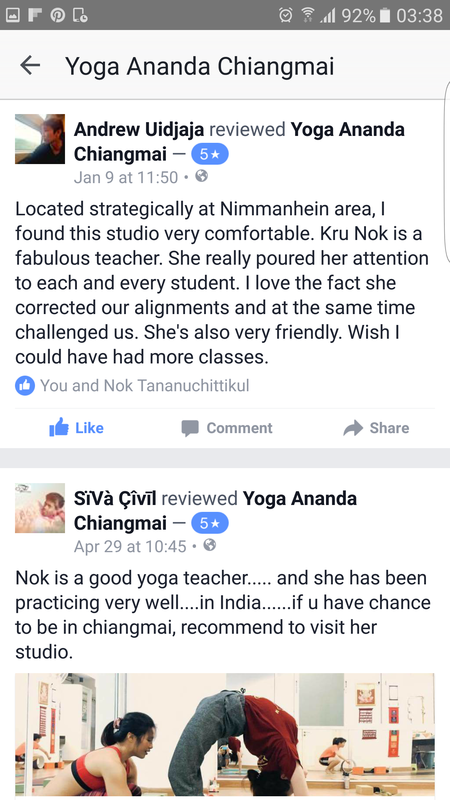 I believe that even without all her training Nok would still be and extraordinary teacher. It’s her ability to “read” a class when she walks in the room and give every person exactly what he/she needs. 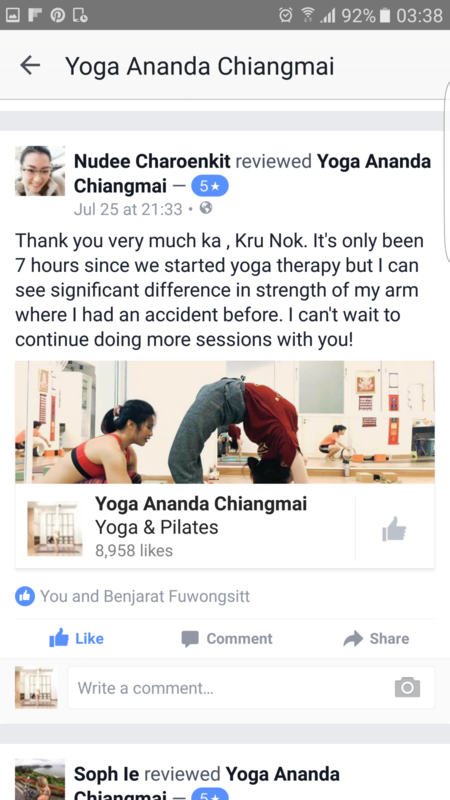 Nok Knows to maintain a class that flows and grows upon each previous pose. 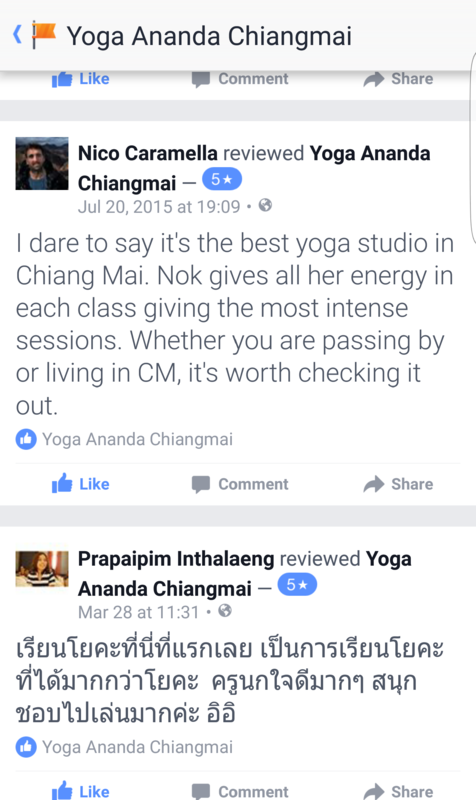 I Know Nok your classes will definitely be Challenging, Rejuvenating &Transforming. Her touch and demeanor is gentle, her practice challenging, yet nurturing. 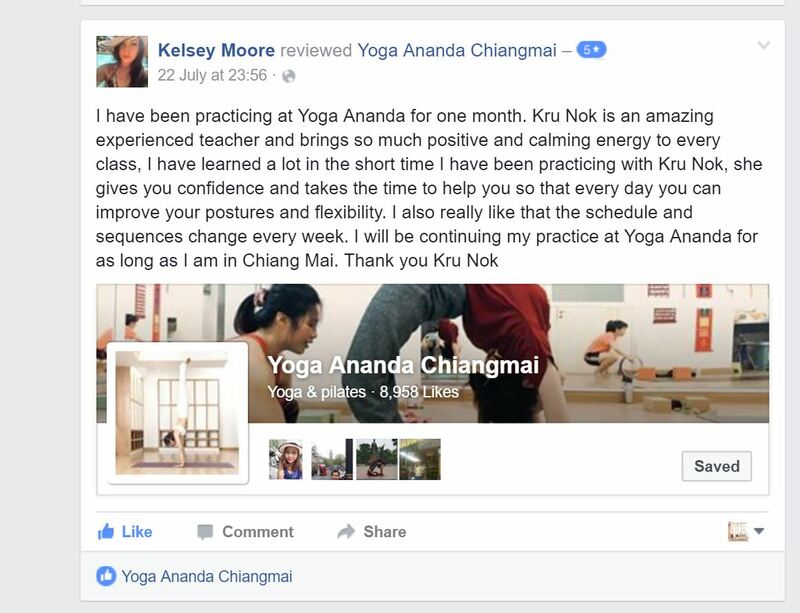 I would highly recommend Nok to anyone, from beginner to advanced practitioner. Thinking about Yoga, it would remind me to Nok. 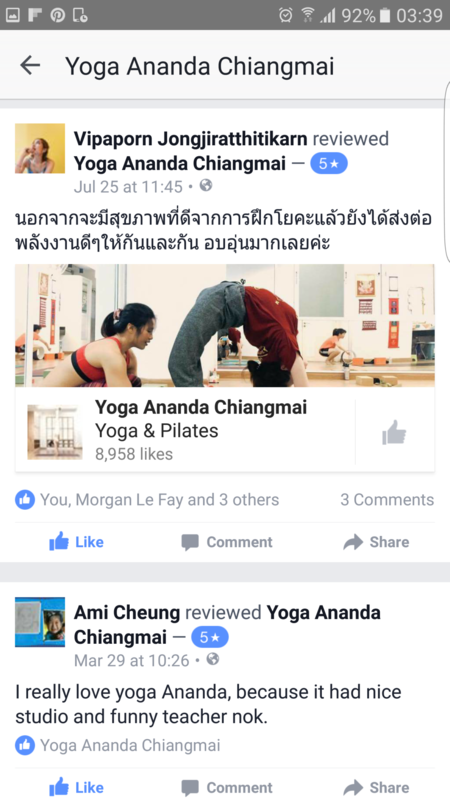 I have studied private yoga class with her. 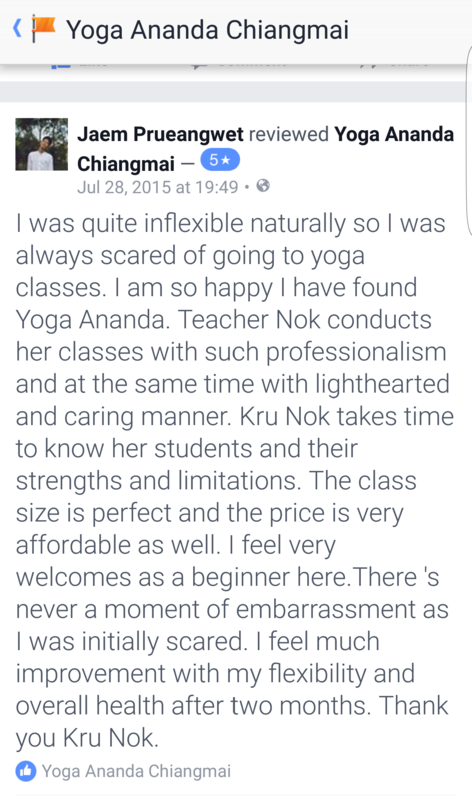 Nok changes my attitude about Yoga. 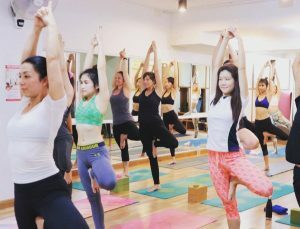 Previously, I though yoga is only for old people and boring exercise. 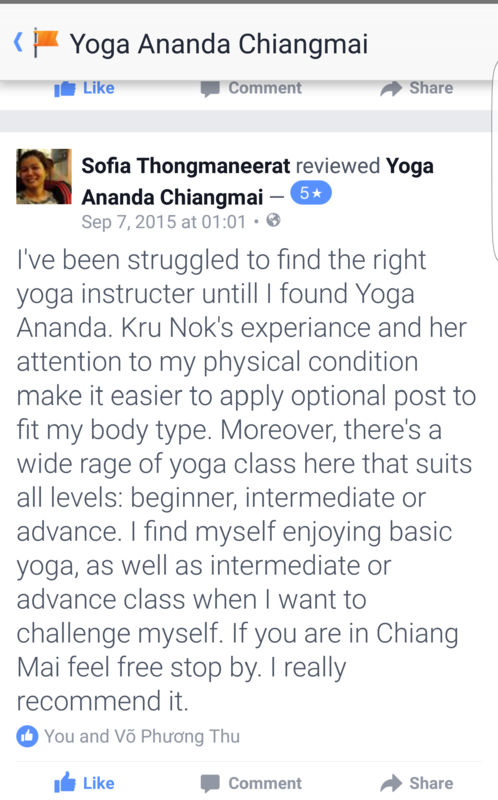 Once I tried Yoga with Nok, I must say Yoga is for everyone. 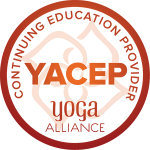 Yoga is not only exercise but a practical way to be happy. 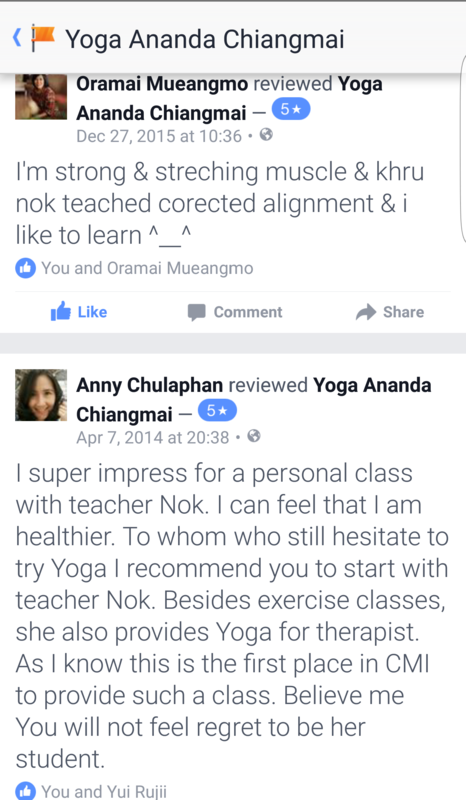 Nok is an amazing teacher, patient, kind, gentle and clam. She knows each student’s limited and helps us to get through our limited bit by bit. I used to have a tree body (not even able to blend forward and touch the ground), now my body is more flexible (touching the ground is not my problem anymore). I am very happy to spend every minute with Nok. 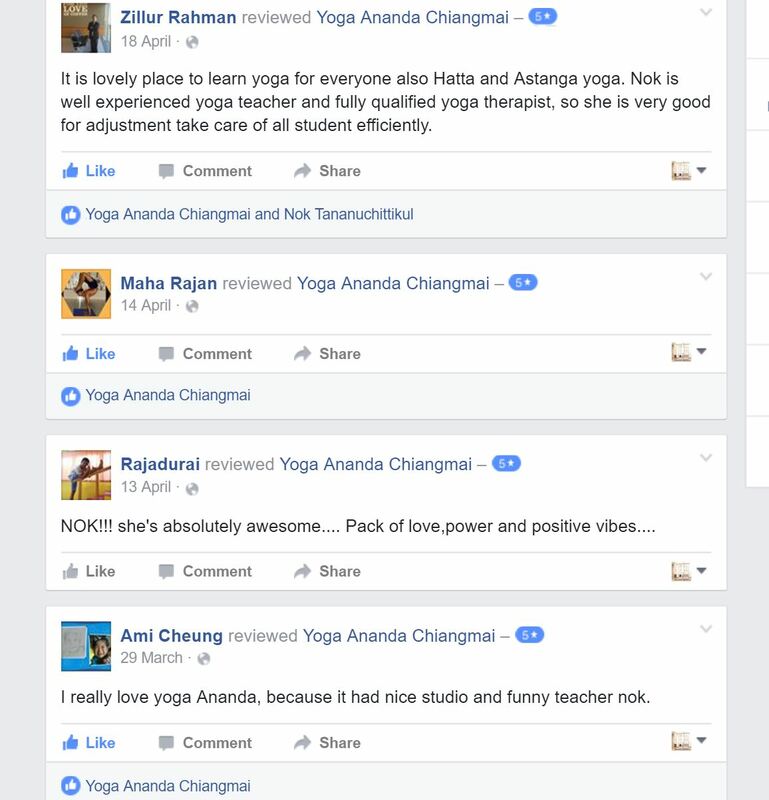 The more I learn Yoga with Nok, the happier I am. I will start off with a little info about me. My work requires me to be sitting for long periods of time, which has made me feel stiff and sore throughout the day. So, I decided to take some yoga lessons. At first, I had some concerns since several years ago I suffered a scooter accident, and had to get a knee operation. 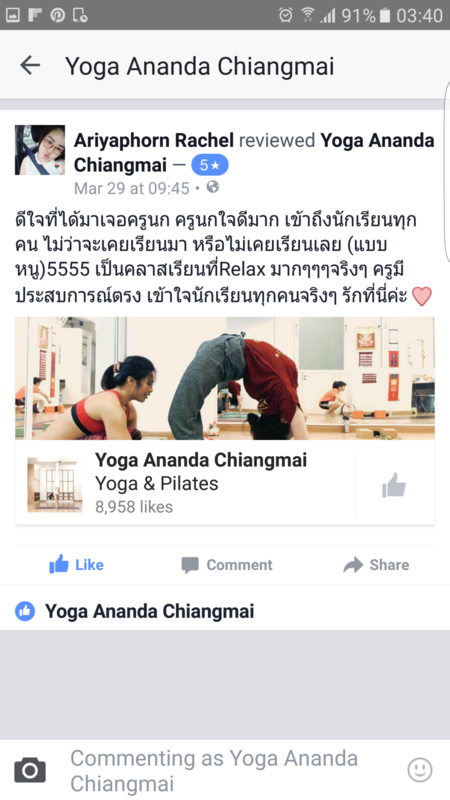 Those concerns were put to rest after my first yoga session with P’Nok. 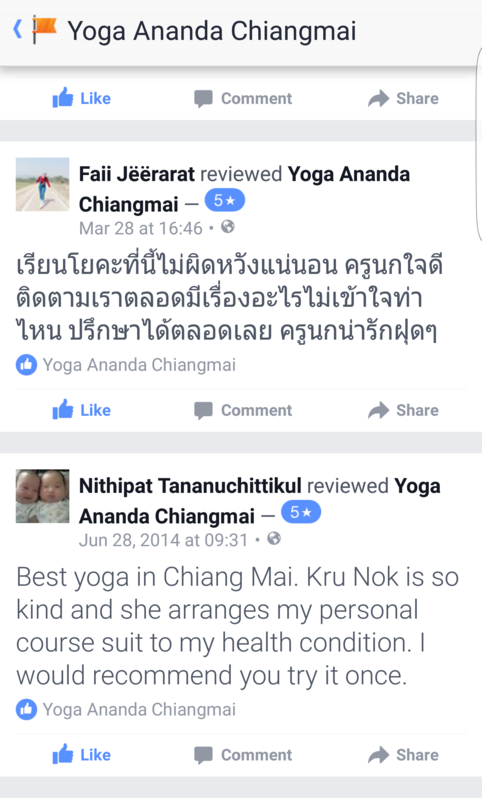 Practicing yoga with P’Nok has been a great experience. She is very kind and respectful, while at the same time very demanding (which is a big plus). She really knows how to customize the sessions in a way that will fit both your needs and limitations. 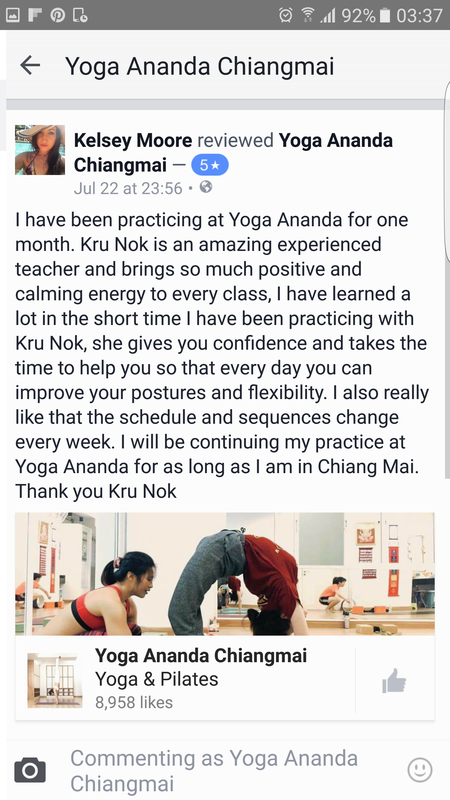 The yoga sessions helped me feel more flexible, and at the same time balanced..
To learn yoga with Kru Nok is very different with joining other yoga classes. She always pay intention very much with each students. 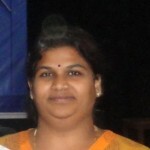 Her teaching method is proper with each one who has different body, limitation and health. 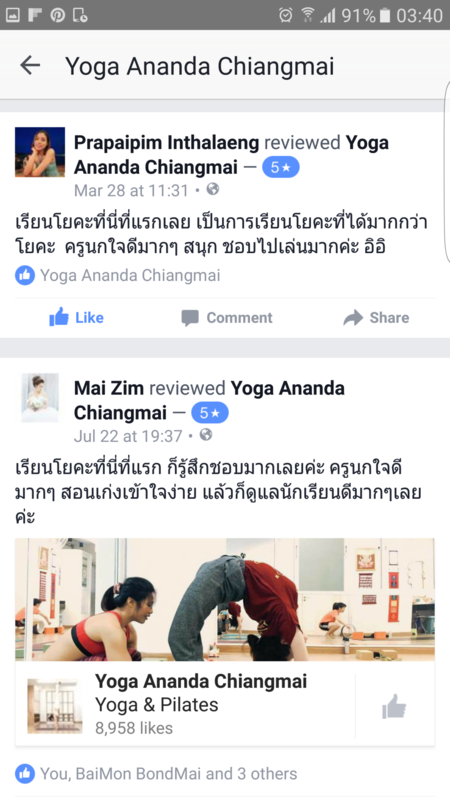 She gives advice for how to practice correct postures. Encourage me to practice and i can do everything with the practice. Myself, my main problem is my hands and wrists. 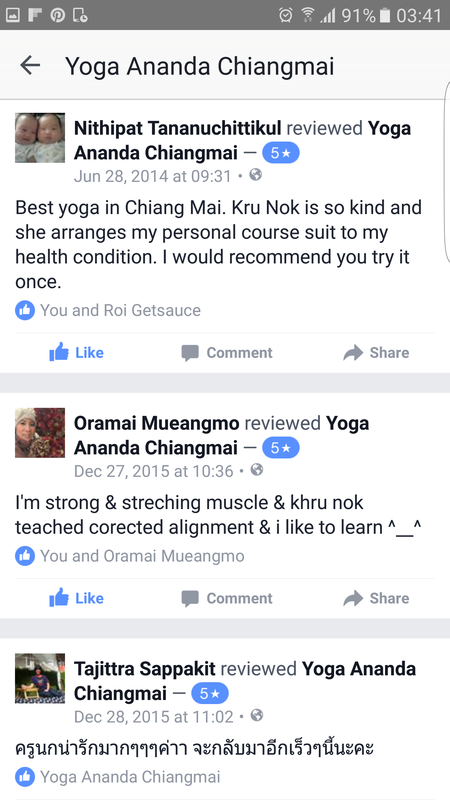 I can not do some postures but Kru Nok helped me by giving options and slowly slowly i can do that postures. She taught me to understand the meaning of YOGA. It’s more than body exercise but it’s given your nice mind as well. 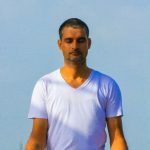 I am now would like to practice yoga forever because it ‘s part of my life. 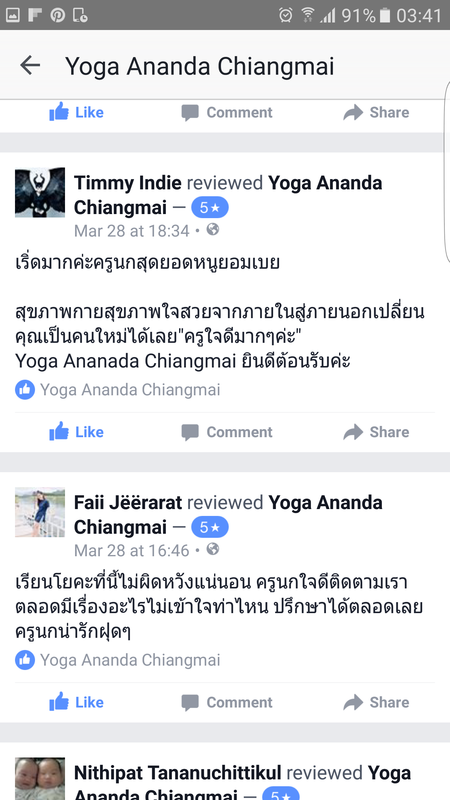 Thank you very much Kru Nok to make me know YOGA and love it!!! 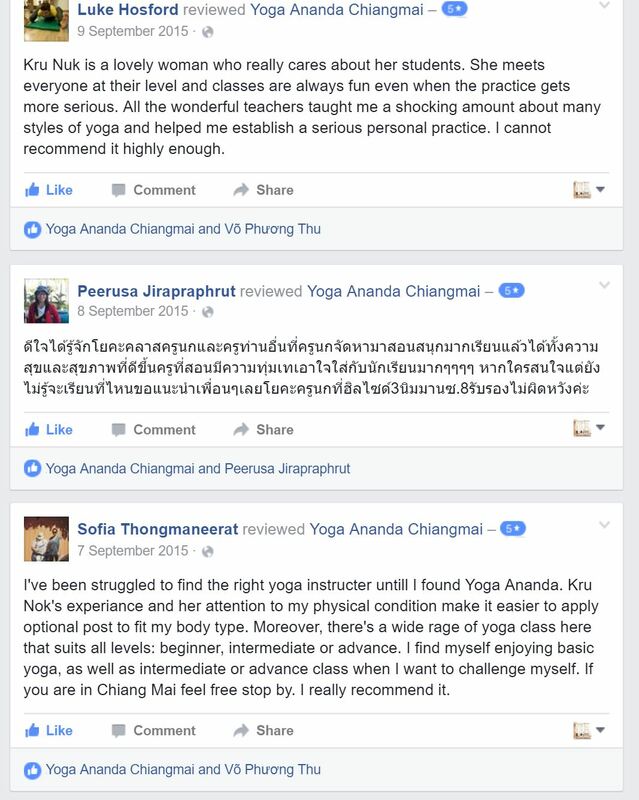 I have been studying the Ashtanga Vinyasa with Kru Nok for somewhile, from never known about it until now i can do it with happiness. 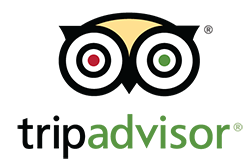 I found out it’s amazing and this is what i love. I always get new techniques and tips of practicing from her. 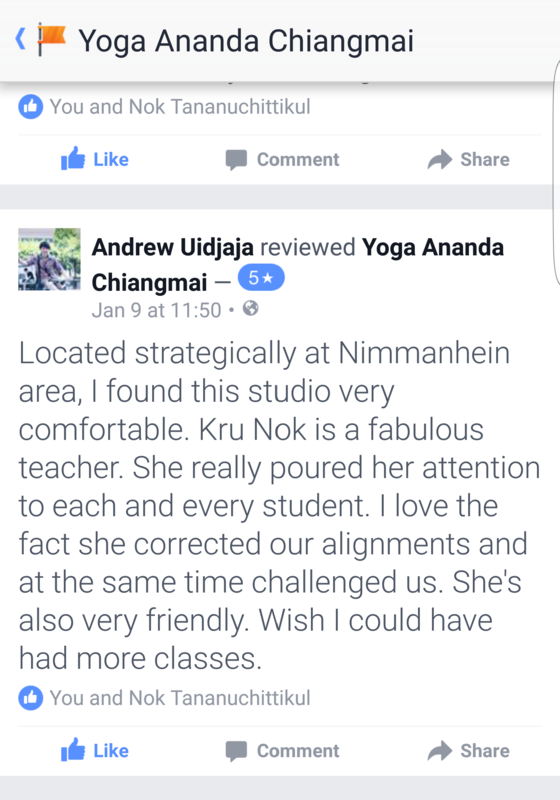 Kru Nok is lovely person and very friendly with student. With her character , make learning atmosphere happy, fun as well as get lot of knowledge in the same time. 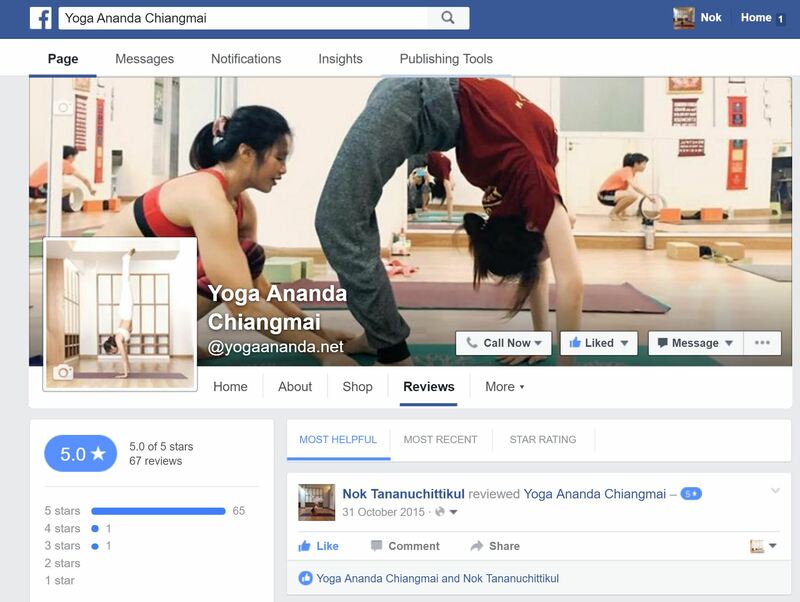 Now, i know i fall in love in Ashtanga Vinyasa!! !